How does a person know when he or she is loving someone? There must be a standard or all kinds of things can be done in the name of love. Jesus and other New Testament writers say to “love your neighbor as yourself” (Matt. 19:19; Mark 12:31; Luke 10:27; Rom 13:9; Gal. 5:14; James 2:8), a command found in the Old Testament (Lev. 19:18). Loving people is not unique to the New Testament. Even Jesus’ statement to His disciples to love one another as He loved them is only a new commandment because that love is personalized in the life of Jesus. That love still requires an objective standard. Christ’s love to His people in giving His life a ransom for them was altogether new, and consequently as a Model and Standard for theirs to one another. It is not, however, something transcending the great moral law, which is ‘the old commandment’ (1 John 2:7; Mark 12:28-33), but that law in a new and peculiar form. Hence it is said to be both new and old (1 John 2:7, 8). How does John describe the newness of the old commandment? Beloved, I am not writing a new commandment to you, but an old commandment which you have had from the beginning; the old commandment is the word which you have heard. On the other hand, I am writing a new commandment to you, which is true in Him and in you, because the darkness is passing away and the true Light is already shining (1 John 2:7-8; also 1 John 3:11; 2 John 1:5-6). It is a renewed commandment; it was a commandment from the beginning (1 Jn. 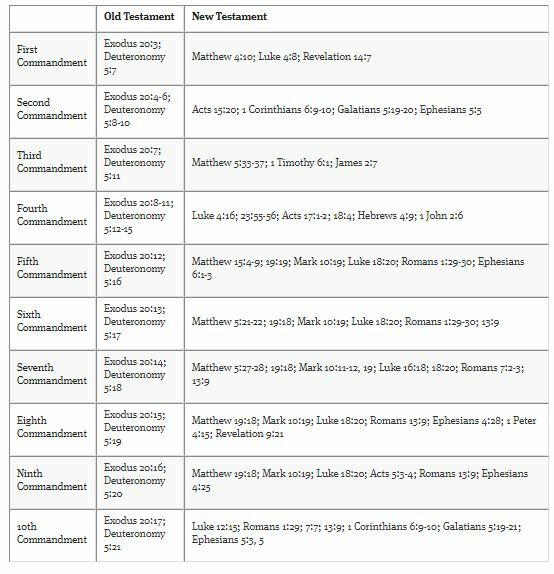 2:7), as old as the law of nature, it was the second great commandment of the law of Moses; yet, because it is also one of the great commandments of the New Testament, of Christ the new Lawgiver, it is called a new commandment; it is like an old book in a new edition corrected and enlarged. This commandment has been so corrupted by the traditions of the Jewish church that when Christ revived it, and set it in a true light, it might well be called a new commandment. Laws of revenge and retaliation were so much in vogue, and self-love had so much the ascendant, that the law of brotherly love was forgotten as obsolete and out of date; so that as it came from Christ new, it was new to the people. Owe nothing to anyone except to love one another; for he who loves his neighbor has fulfilled the law. For this, “You shall not commit adultery, You shall not murder, You shall not steal, You shall not covet,” and if there is any other commandment, it is summed up in this saying, “You shall love your neighbor as yourself.” Love does no wrong to a neighbor; therefore love is the fulfillment of the law. (Rom. 13:8-10). A summary does not nullify what it summarizes. As has been pointed out, “love your neighbor as yourself” (Lev. 19:18) is a law from the Old Testament. Did you catch what Paul wrote to Timothy? : “The law is good if one uses it lawfully.” He then quotes moral prohibitions found in the Old Testament, everything from murder and homosexuality to kidnapping and perjury. If you commit any of these moral wrongs, you are by definition not loving people. Love is not a feeling or an emotion. It’s an action based on a fixed moral standard. If there is no moral law, then there is no need for the gospel.